If you make changes to a network card settings and need to restart it to take effect, you might find this useful. Ssh is resilient enough to usually keep your session if you take the card down and up fast enough. Obviously you want to make sure the change you make will not prevent the card from being enabled correctly. I was making changes to my dns settings for the card, and I wanted them to take effect immediately. If you need to generate extra entropy, consider running some mundane tasks in another terminal. I thought to myself, “What is that?” I ddged it and found that was a function in firefox that tries to detect if it’s in a captive portal, like at a hotel or other public wifi where you must agree to something before you can access the World Wide Web. I realize that it is probably fine for firefox to do this, but it’s not necessary. I don’t want my browser doing anything of the sort. I will tell what and when to visit web URLs. 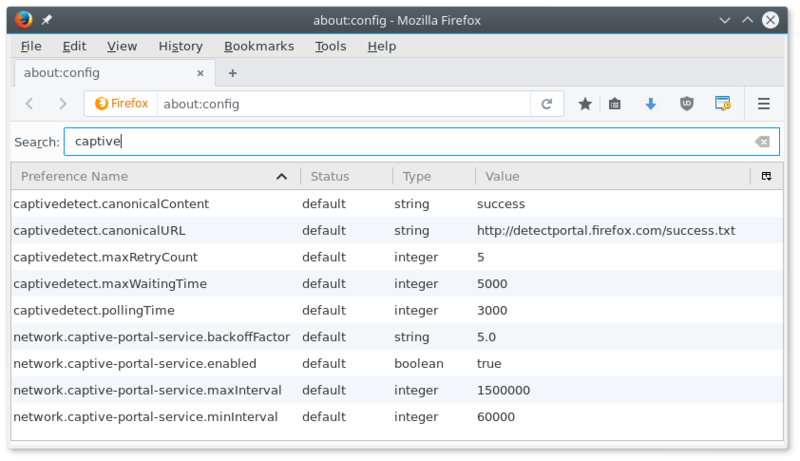 In firefox, visit about:config and search for captive. You can change the values. The easiest one to change is the network.captive-portal-service.enabled. You can change this boolean value to false by double-clicking it. I like to use the keyboard to interact with my computer, even in the gui. 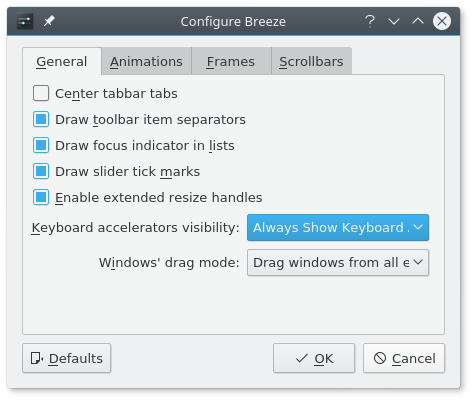 On my KDE system, I wanted my accelerator keys to always be visible. I had to poke around the World Wide Web for a while to find out exactly how to do that. These instructions are valid for kdelibs 6:4.14.30-1.fc25. Open up “System Settings” application. Select “Configure…” button beside Widget style.